SELL MORE BOOKS by Marketing to Schools and Libraries. Libraries are the biggest book market in the US. There are nearly 110,000 school and public libraries in this country, and 100,000 public schools. Librarians and teachers spend billions of dollars on books each year. Ask yourself this: could my book be one of those? What if I could double, triple, or even quadruple sales? What if I could sell multiple copies of my book, and sell it in multiple formats? How many readers might I reach? These two guides are all you need to get yourself on the road to sell more books. Is Marketing Your Book Harder Than Writing It? Ah, but a man’s reach should exceed his grasp – or what’s a heaven for? If you dream of getting your message out to others; you want recognition of yourself and your ideas; and you want to make a decent return on you labor in writing a book, there is one best way to do that. You have to make yourself and your book visible and vital to other people. This isn’t difficult to do. Think back to a time when you were the center of attention — positive attention! Remember the joy that gave you and others? You wrote your book hoping for such a time to come again. Now reach for your moment! 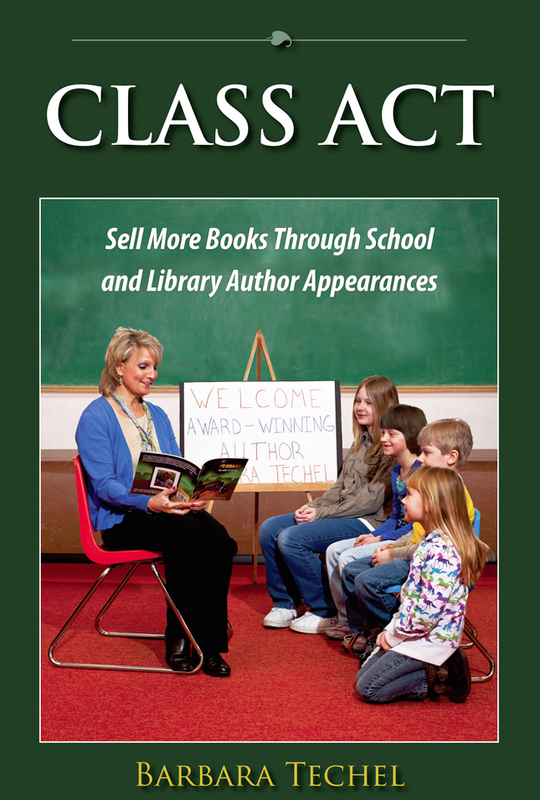 Barbara Techel’s Class Act: Sell More Books Through School and Library Author Appearances is the definitive guide to promoting your message while selling your books to schools and libraries. Giving talks at schools, school libraries and public libraries is your chance to bring your book into the limelight. You’ll sell multiple copies, meet and get to know your readers, and perhaps even earn money for speaking. Barbara’s step-by-step advice for preparing and giving your talk is not limited to any specific location either. In her book she shows how to use Skype to give a book talk to a group located anywhere in the world. 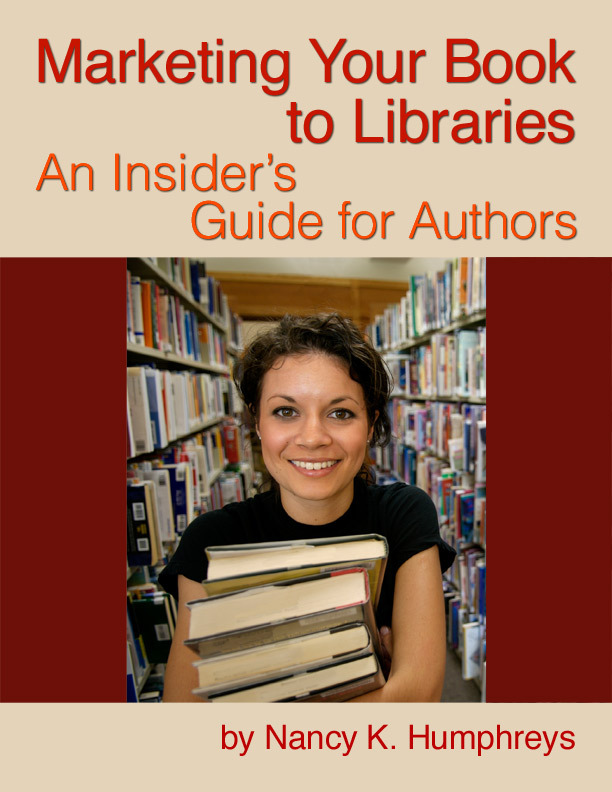 Nancy Humphreys’ insider’s guide for authors, Marketing Your Book to Libraries, is the most comprehensive work of its kind. Not only will it show you how to find libraries and schools to give talks at, it will walk you through all of the ways you can use to promote your book to school libraries, public libraries, college and university libraries, and special libraries. Nancy’s guide shows exactly what you need to do to get your book ready for the library and how to get librarians to know that your book exists and is one they need to buy! Get the Word Out About YOUR BOOK! Readers love books they find out about at school, the library, or where they work. And they tell their friends and families about those books! Word-of-mouth advertising is the best way to sell any kind of product or service made. That’s because selling anything requires building trust. The more you get the word out about your book, the more people will see it, talk about it, and buy it. Exposure through personal appearances is one of the most powerful ways you can promote your book. Busy teachers and librarians may easily overlook a flyer in the mail, or a review in a book-review source they use for their work, but they will rarely overlook someone who offers to give a talk to the readers they work with. Having quotations from “authoritative” book reviews in “quality” review sources is essential for selling books to schools and libraries. A “one-sheet” press release that uses positive quotes is your “business” card”. It can open the door to get your book reviewed by authoritative review sources. It can get the attention of a teacher to consider your book talk offer. It can be used in a targeted direct-mailing to the librarians and teachers most likely to want to see your book. And even more importantly, favorable quotations from respected sources will get your book past the gatekeepers who decide what kinds of books teachers and librarians can buy for their readers. But first you have to get past the gatekeepers at book review sources, i.e., the editors! In our two books that we’ve put together for this special package, we show you exactly how to go about doing that. We can promise you this because we’re both writing from experience. — Barbara Techel, award-winning author of Frankie the Walk ‘N Roll Dog book series, has visited over 300 schools, libraries and organizations in Wisconsin, as well as numerous schools via the technology of Skype. Barbara’s highly popular presentation has won the praises of hundreds of teachers, librarians, and club organizers. Barbara is also a speaker and publisher. Barbara and Frankie are avid volunteers as a therapy dog team. They routinely visit a local hospice community, hospital and senior assisted living facility, where they “walk their talk” about the inspirational nature of perseverance in the face of challenge. Since before her first book was published, Barbara has worked tirelessly to promote her books and the positive message they embody. She has garnered coverage for her story from local, regional and national media through these efforts, and continues to develop and refine her marketing message and approach. Visit www.promoteyourbooktoschools.com and www.joyfulpaws.com to learn more about Barbara’s work. Outside of a dog, a book is a man’s best friend. 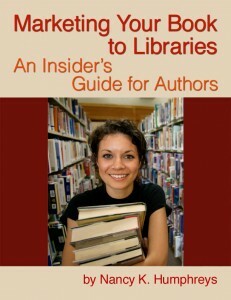 Marketing Your Book to Libraries: An Insider’s Guide for Authors by Nancy K. Humphreys you’ll get the most comprehensive guide in existence to market any kind of book to any kind of library in the US. It offers four basic strategies for getting your book into the library. Class Act: Sell More Books Through School and Library Author Appearances by Barbara Techel is the definitive guide to promoting your message and selling books to school and libraries. And it’s not just for childrens book authors but it is the ultimate how-to manual for authors of any title of interest to these audiences. It offers step-by-step instructions to help you. The complete Marketing Your Book to Libraries: An Insider’s Guide for Authors and Class Act: Sell More Books Through School and Library Author Appearances is ready for your immediate download right now. Click the “Add to Cart” button to purchase your copies of these two valuable and informative guides. You will be taken to a PayPal page where you can choose to pay via PayPal or your credit card. You’ll receive a link via email. As soon as you click that link, both books will download together. This special offer is available for a limited time only. It will end October 15, 2011! Take the next step now in your author career. Acquire the tools to successfully market your books to schools and libraries as well as master the art of author appearances to Sell More Books.